The American Association for Justice (AAJ), also known as the Association of Trial Lawyers of America, is the national trial lawyer’s organization in the United States. As the world's largest trial bar, AAJ promotes justice and fairness for injured persons, safeguards victims' rights—particularly the right to trial by jury—and strengthens the civil justice system through education and disclosure of information critical to public health and safety. Michael S. Keating, founding partner of Keating Law Offices, P.C., is one of the most experienced and respected attorneys focusing on bicycle-related transportation litigation in the United States. Keating Law Offices has successfully resolved an extensive list of bicycle accident cases through settlement and verdicts at trial. 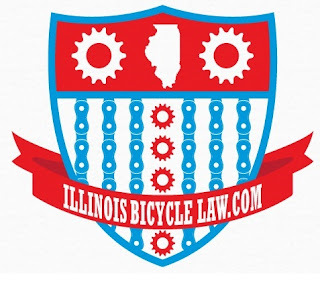 Keating Law Offices publishes the well respected and widely read legal blog, www.IllinoisBicycleLaw.com. 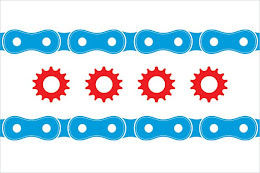 Keating Law Offices also serves as an advocate for safe bicycling in communities throughout Illinois by offering pro bono legal services and outreach efforts on behalf of bicycling organizations. Mr. Keating is also a frequent speaker and lecturer on the subject of bicycle law and litigation in communities throughout Illinois. Mr. Keating lives in Evanston, Illinois with his wife and two children.